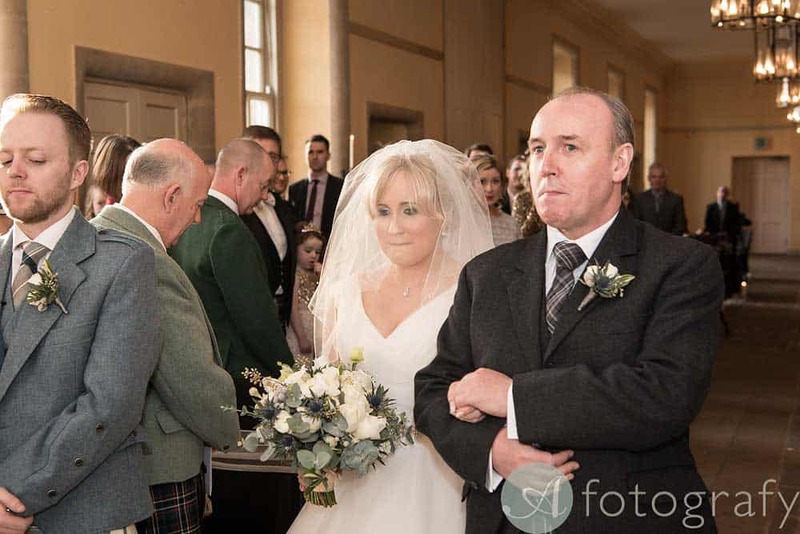 The twenty-four hour countdown had begun – and I met the happy couple to-be at the breath-taking venue of Hopetoun House (a venue that could easily claim a title amongst the most beautiful places to get married in Edinburgh). Photography ideas were discussed, a yearlong wedding plan came together and Lisa and Joseph flipped between excitement and nervousness. As is obligatory – we hoped, prayed and crossed our fingers for good weather, doing a mental sun dance as we walked through the ceremony together. Thank You ALL Wedding Suppliers from the day. Thanks my second photographer Matt from Fern Photography. 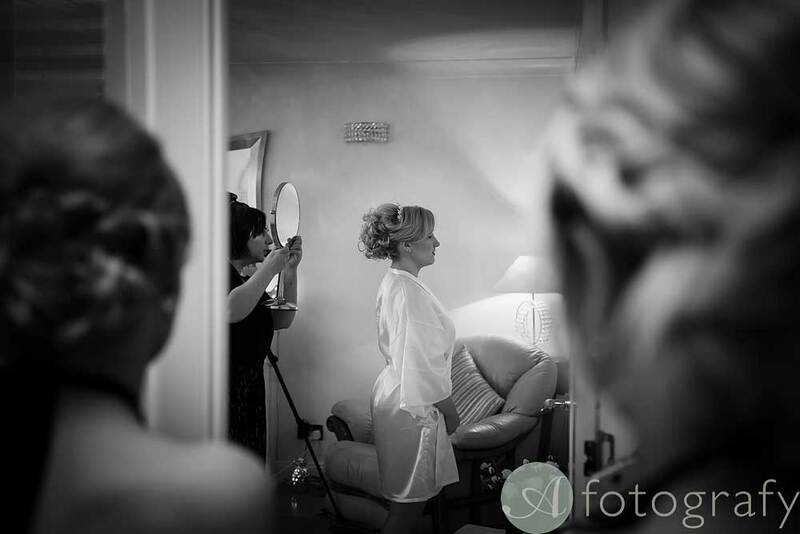 I entered a hustling, bustling environment of Lisa and her 5 bridesmaids getting ready – a fog of fragrance and a hive of activity where make-up was meticulously applied and hair was beautifully styled. Liz and Alex looked after me, with tea and direction in equal measure (a big thank you to you both). Away from the action, I discovered the perfect places to shoot Lisa’s dress, her tiara, her bridesmaids’ dresses and their bouquets. 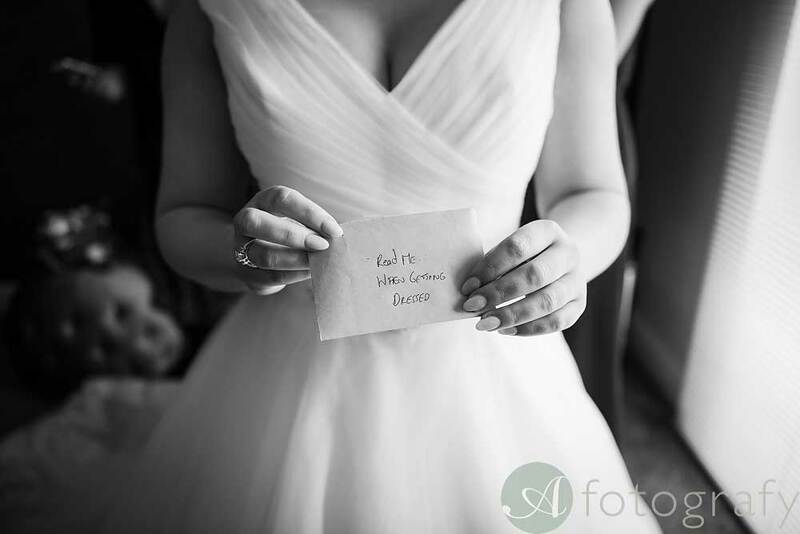 As the morning unfolded, Lisa opened letters left by her husband-to-be (grooms take note – this is how you earn some brownie points before even uttering those vows). Romantic, unique and a touch that will be remembered for a lifetime. The Ceremony at Hopetoun House. 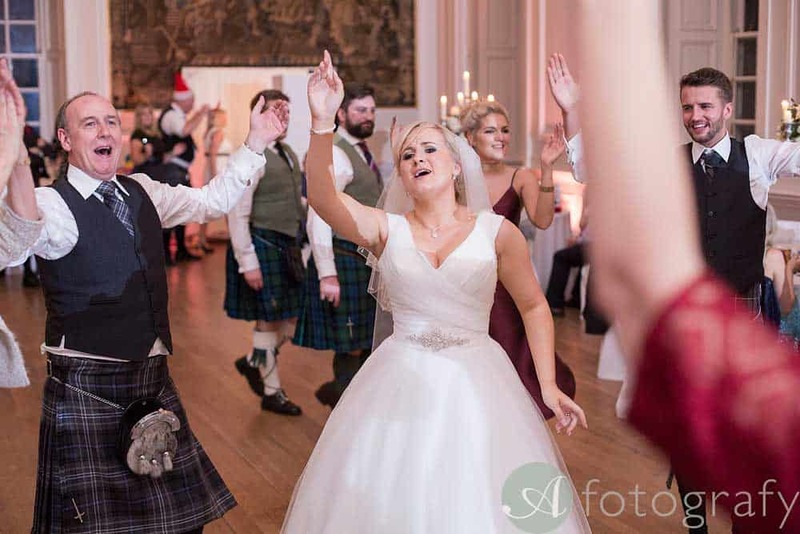 Hopetoun House Manor made for a beautifully imposing venue – quite possibly the grandest of all wedding venues in Edinburgh, decorated for Christmas charm. The bride arrived, and this was it. All of the planning, and it comes to that poignant moment where the bride and groom meet at the alter. This particular venue commanded careful planning – amongst the acres is plenty of opportunity to get lost and it also provides backdrops that could easily lead to an all-day photography session. 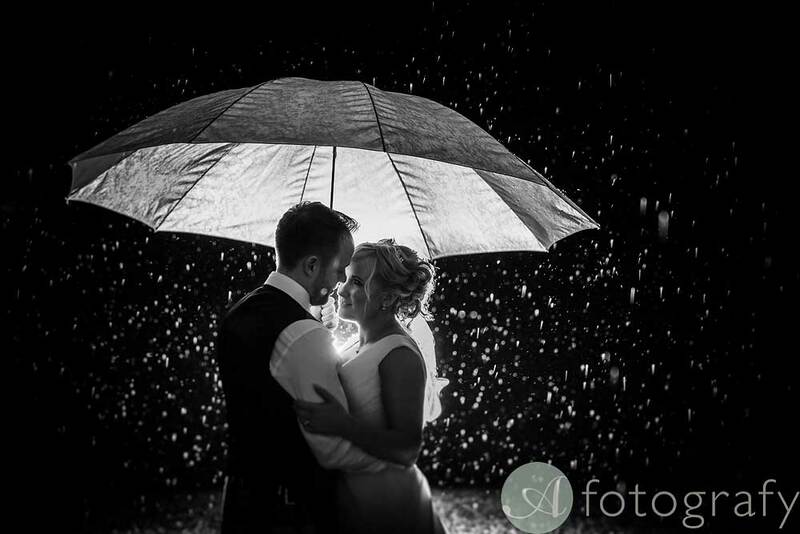 This is why timing and planning is everything – wedding day photography shouldn’t remove the bride and groom from their day – the balance between creating a collection of stunning images and timescale is a fine one. Post ceremony, as always, was a phase filled with adrenaline – I always observe everything around me for varied shots, aiming to cover as much as possible, with as much fun as possible. I look out for moments that would otherwise pass, that could connect a couple and bring them together. 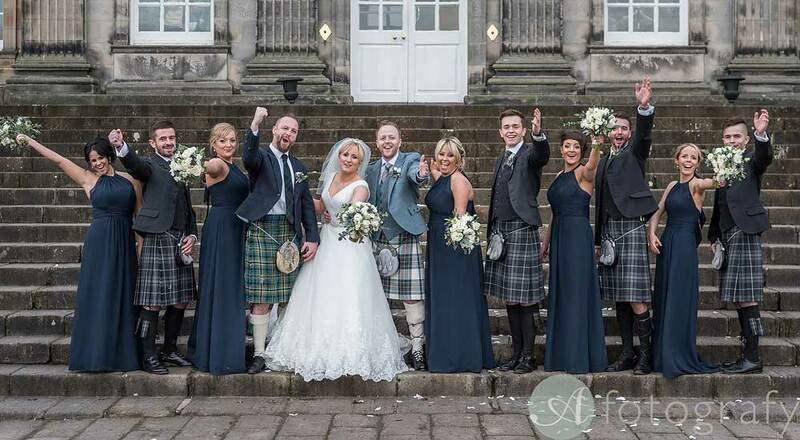 As for direction from the happy couple, Lisa and Joseph, like many couples, were seeking an alternative to the stuffy, ‘don’t move a muscle’ group shots. They wanted creative images – and we’d already planned almost every opportunity. As the evening went on, a little rain came, which could actually be called a blessing – a chance to capture my signature style portrait shot under the umbrella (many thanks to Lisa and Joseph who braved the wind and rain – although from their poise, you’d never tell); and no amount of rain could have dampened the impact of the impressive firework display from CC21 Company. An incredible day, was brought to a close with an amazing night – a fully filled dance floor, fun photos and hands filled with sweets plentifully provided from a tempting looking candy bar. And with that, 2016 came to a close for my photography – I look forward to a 2017 filled with couples as happy as Lisa and Joseph. 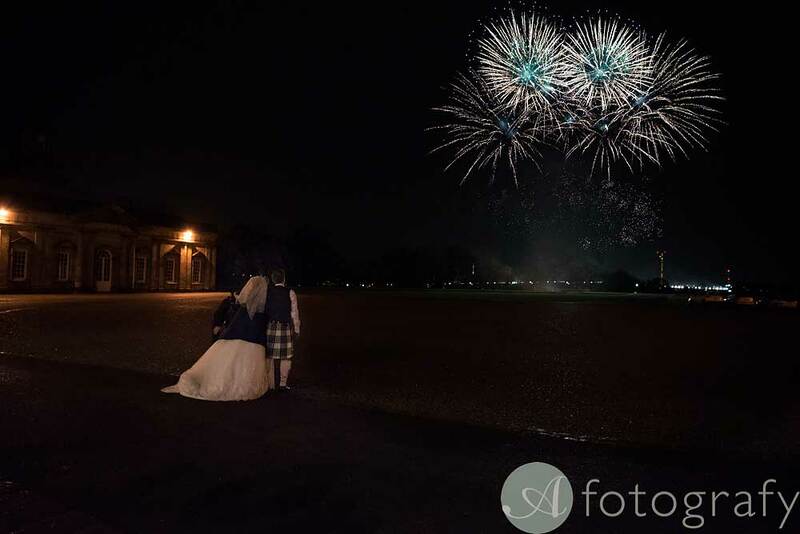 Couples who, right now, may be excitedly Googling “best wedding photographers Edinburgh” –couples who tie the knot for eternity, who will see me visit many new locations, with me capturing the beginning of many, completely unique happy ever afters. Call Studio on 07850209999 to chat about your big day or use contact studio button to find out about availability. 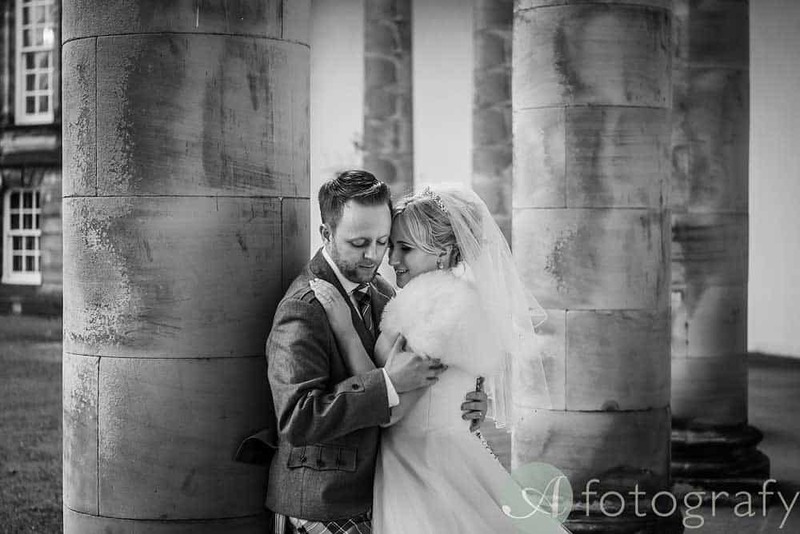 Enjoy this Hopetoun House Wedding Gallery and get some inspiration. 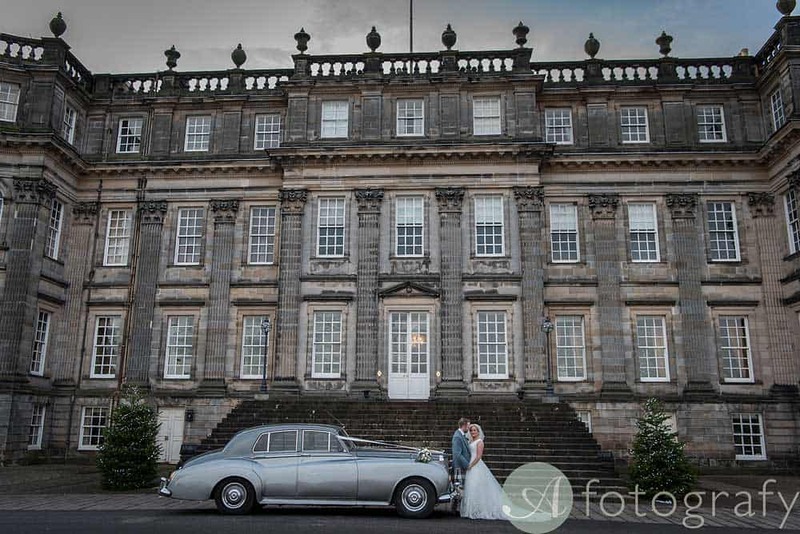 You can see one more beautiful wedding I did at Hopetoun House Here. It was a spring wedding.